RMT General Secretary to call for Greater Anglia to be stripped of franchise at a meeting in Norwich tonight as rail safety regulator reveals company safety “deficiencies and failings”. RMT General Secretary Mick Cash will call on the Secretary of State for Transport Chris Grayling to strip Dutch state owned Greater Anglia of their franchise at a meeting in Norwich tonight - Friday 20th October - after the rail safety regulator (ORR) wrote the to the union admitting its inspectors have uncovered a range of safety “deficiencies and failings” arising from Greater Anglia’s use of replacement labour in the recent industrial action by RMT. 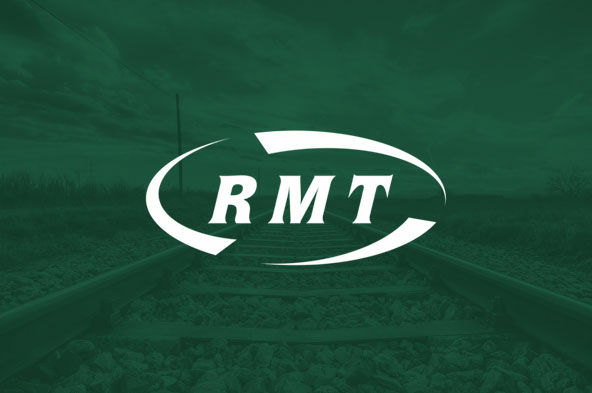 “The regulator has made it's findings after prior warnings from the RMT about the company playing fast and loose with safety and after we submitted detailed formal complaints over serious failures.